Personalized and blended learning and differentiated instruction should be viewed as interrelated supports for deep learning. Recently, I was asked to explain the difference between blended learning, personalized learning, and differentiated instruction. Initially, I imagined a Venn diagram—instead of focusing on the differences, I argued that it’s more important to find the commonalities. However, I also realized there was another challenge: the need to define learning. Rather than focus on what term to use, or the merits of a particular strategy, the real effort should go into creating an actionable definition that an entire community can embrace. Consider the thinking of educational theorists such as Jean Piaget (learning is the active construction of a new sense of reality), Lev Vygotsky (learning occurs through language and social interaction), and Albert Bandura (learning results from active and vicarious experience). The book How People Learn: Brain, Mind, Experience, and School argues that learning occurs when students participate in cognitively demanding tasks, get meaningful feedback, and have the opportunity for real-world application. In other words, learning must be active, social, and meaningful. And instead of viewing personalized and blended learning and differentiated instruction as separate approaches, we should consider them interdependent components of great learning experiences that meet those three criteria. Too often, teachers limit their definition of differentiated instruction to leveled content, the use of different mediums (e.g., text, audio, or video), and student choice of assessment. Dr. Carol Tomlinson defines differentiation more broadly, as the need for teachers to consider students’ language, background, experience, interests, aptitudes, skills, and culture so that they can then provide content and activities that value each student’s strengths and identity. To really differentiate, teachers must design experiences that maximize individual student growth. In a blended environment, students take advantage of the different modalities afforded by both the online and in-person contexts. I have argued in the past that neither digital workflow nor the dissemination of digitized, teacher-driven content constitutes blended learning. As Michael Horn and Heather Staker write in Blended: Using Disruptive Innovation to Improve Schools, the proper role of digital technologies in true blended learning is giving students control over the time, path (e.g., type of content), place (online or in person), and pace of their learning. The online environment affords students with choice and control over their learning, and teachers gain opportunities for meaningful interactions with their students. Technology is a critical component of blended learning. 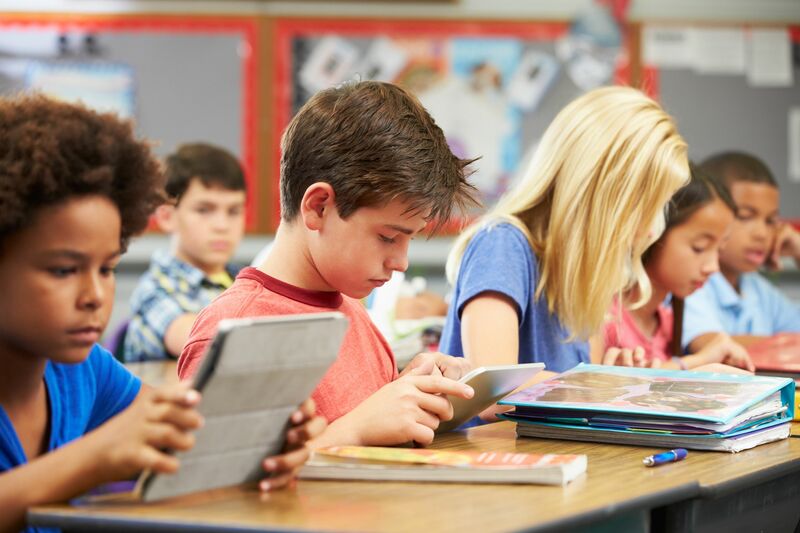 But according to the International Association for K-12 Online Learning, technology is neither a catalyst nor a change agent within the context of personalized learning. Unfortunately, as with blended learning, a lot of the talk around personalized learning has focused on using technology to deliver self-paced, customized content instead of on inspiring student agency. Beyond using assessment data to determine a student’s proficiency in a particular subject area, personalized learning taps into students’ curiosity and passion such that they feel intrinsically motivated to deeply learn a topic. In 2008, when I was working as the director of academic technology at an elementary school, a sixth grade social studies teacher asked me to collaborate. She wanted her students to understand the concept of empire and to take ownership of their learning, teach the rest of the class about their topic, and create a way to share their learning with the school community. First, we created a content library that included books, websites, and videos so that the students could choose to learn in the classroom or the computer lab depending on their needs. Though the teacher allowed each student to choose the empire they wanted to study, she created subtopics along a continuum from concrete to abstract and assigned them to each student based on their individual strengths and interests. For example, students who needed the most support researched the geography of their empire (concrete) and those who could tackle the biggest challenge explored their empire’s legacy (abstract). Finally, she allowed the students to choose how they would teach their peers and classmates. The teacher not only differentiated the content but also factored in students’ interests, aptitudes, skills, and cultures. Because she incorporated the computer lab, students could learn in a blended model. The teacher could focus her instruction on smaller groups in the classroom while the other students gained content knowledge via the digital materials in the computer lab. By providing choice and flexibility based on prior assessment of their knowledge and skills, the teacher personalized the experience for each student. When we designed this experience over a decade ago, we had neither access to much technology nor an understanding of blended or personalized learning. We wanted the students to take an active role, collaborate and share with their peers, and feel as though they were engaged in a meaningful experience—and in focusing on those goals, we arrived at blended and personalized learning and differentiated instruction. Professor Stephen Heppel has said that the modern era may signify the end of education but the beginning of learning. In our rapidly changing world, students will need to learn how to learn so that they can adapt to whatever their future may bring. Therefore, instead of debating the merits of blended or personalized learning or differentiated instruction, every teacher, administrator, student, parent, and community member needs to first understand what learning looks like within their school or district. Without this shared understanding, none of the other terms carry actionable meaning. We know what great learning can look like. Students must be active participants. The experience should support social interaction, and the process needs to be meaningful. Blended learning, personalized learning, and differentiated instruction represent interrelated components that can support the achievement of those ideals.